"Selective Inclusion: Integration and Isolation of Jews in Medieval Italy" by Samuel D. Gruber, Dr. 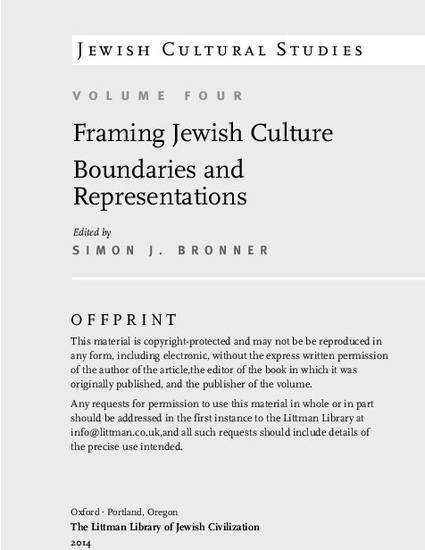 This essay presents episodes, mostly from the thirteenth to the fifteenth centuries, that demonstrate how Jews existed within the spatial framework of Rome and elsewhere in medieval Christian Italy, straddling social, economic, and spatial boundaries. Using a variety of sources to physically locate Jews in Italian urban culture allows a better understanding of the civic space available to them in Italian cities in the Middle Ages and the early Renaissance. Stretching from just before the promulgation of anti-Jewish decrees at the Fourth Lateran Council until the creation of the Venetian ghetto in 1516, this was a tumultuous but transformative period of Italian and Jewish history, in which Jewish communities settled and thrived throughout the entire peninsula.